Do You Text for Romance? Have you ever taken advantage of texts to spice up the romance in your marriage? Bethany sends me texts from time to time simply to say “I love you” or to tell me she appreciates something specific that I’ve done. Given that Words of Affirmation is my primary Love Language, this puts a big smile on my face every time! I do the same to share how I’m feeling, especially during the rush of a hectic or stressful day. It’s really amazing how powerful even a few words can be and text messaging makes it fast, easy and instant. 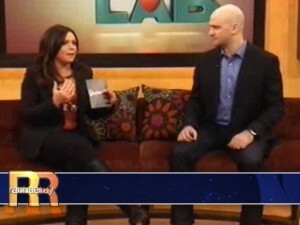 While I was researching (sorry, it’s the engineer in me) the most effective ways to text your spouse, I came across a fantastic video clip from The Rachael Ray Show last Valentine’s Day. You can view it right here, and I think you’ll enjoy seeing how seemingly simple little messages can have a lasting impact. To my amazement, I found that the guest on that show actually has a blueprint that he developed to help couples “text the romance back” in their relationship with specific phrases and techniques. According to Michael Fiore, the key is to cater your messages to the “triggers” that really resonate with the way we’re wired as men and women. It makes sense – just like the Love Languages – we all have certain phrases that really touch us and make us feel loved, desired – and raise our feelings of intimacy. I went ahead and grabbed Michael’s top three text messages, and I’m impressed. I was going to share them here, but after reading through his suggestions, I realized that you really need to understand the context to make them most effective. Plus, there are very different messages depending on whether you’re sending them to your wife or your husband. The good news is that he gives them away for free. You can click here to grab them for yourself – you just select whether you’re male or female, enter your email address and then they get sent to you instantly. I think you’ll get a lot of this. Like I said, there is an entire blueprint that lays out all the details. If you’d like to find out more about that and check out Michael’s presentation on where all of this came from and how it works, you can check that out here. I think this is a really useful product that can let all of us improve the romance in our relationships, even when we’re feeling super busy and stretched for time. If you do decide to pick up the full program, I earn a small commission for sharing it with you so you’ll be supporting Engaged Marriage while investing in your marriage. Thanks either way! I’d love to hear how you use text messages to stay connected with your spouse. In the comments below, please share your favorite text to send or receive and how it helps your marriage. If you’ve been around Engaged Marriage very long, you know how strongly I believe that even the busiest couples can enjoy an awesome, fulfilling marriage. It just takes some effort and about 15 minutes a day of engaged Couple Time. EM community member Hailey Hearthrow has experienced the power of a 15 Minute Marriage Makeover, and in today’s post she shares a simple, powerful plan to take this approach for a 10-minute “test drive.” Be sure to check it out and then head over to her blog at http://pamperedpartners.blogspot.com for more great tips! If you are taking the 15 Minute Marriage approach seriously, then in just one year, you will have spent 5,475 minutes together strengthening your marriage. That’s 91.25 hours! Assuming that most people sleep 8 hours a night, you will have invested almost 6 whole days (waking time) working exclusively on your marriage and nothing else. Kowabunga! A marriage retreat in your very own home on your time schedule. A vacation without having to miss a single paycheck. Dubious still about the possible results? Don’t think it will really bolster your relationship with such minimal requirements? Okay, take it for a test drive. Invest just 100 minutes: 10 minutes a day for the next 10 days. If it fails, you’ve lost nothing except the time you would have spent watching a video from Red Box. Day two – Listen to “your song” together – the one that played at your wedding, the one you always think of when you remember your first dance, your first kiss, or the night you got engaged. Hold hands while you listen. Try to recreate the mood when you first heard it. Day three – Individually, jot a quick note that starts with “I married you because…” Exchange notes…and kisses. Day four – Grab your wedding album and thumb through the pages while you sit on the couch together. Laugh about so-and-so’s candid expression and reminisce about how young and naïve you were. Day five – Relax with a favorite drink or dessert. While you are at ease, share three things you did today that your spouse might not know about. Day six – Put your feet up, literally. Take turns giving and receiving foot massages. Too ticklish? Try a back rub instead, or maybe just run your fingers through your spouse’s hair. Day ten – Go back and rate your marriage again. Congratulations! You are on your way to a successful 15 Minute Marriage. With just 5 more minutes a day and Dustin’s book, you can have the spark that was yours when your first exchanged rings. What is your favorite way to spend 10-15 minutes with your husband or wife? Share it in the comments! Valentine’s Day – Disappointment or Confusion? 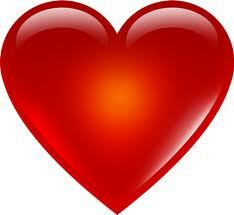 Note from Dustin: Ahhh Valentine’s Day, it seems like most couples either love it or hate it. Personally, we try not to save the romantic stuff for just one day of the year, but we also find that it’s a great reminder to make sure we’re treating each other in a special way. I’m happy to feature this post from popular relationship author Kim Olver on the subject…and don’t miss the great book giveaway at the end! Being a relationship counselor, I hear a lot of things said about the Valentine’s Day holiday. The main theme involves it being a holiday that often leaves women disappointed and men confused. Does this happen to you? If so, keep reading. I’m going to talk about why this happens and what to do about it. Somehow, somewhere, someone designated February 14th as the day for love. It is on this particular day, you are supposed to be most loving toward your significant other. The problem is most of us don’t know exactly what that means. Women on the other hand are fantasizing about all their dreams coming true on that one day of the year. It will be the day their husbands miraculously transform into their Prince Charming. This will be the day he will do the things his wife wants him to do that he doesn’t do the other 364 days of the year. This is why women are bound to be disappointed and men are left feeling confused. Women generally have unrealistic expectations that they fail to clearly communicate and men are left guessing what their wives want and often fall short because they don’t pick up on the subtle cues their wives leave hoping to lead them toward the answers. People come into a marriage with all their beliefs and values they’ve been collecting their whole lives. They have different thoughts about what being married is supposed to be and one of those differences usually revolves around how Valentine’s Day will look and what will happen that day. Imagine a person who came from a family where her parents always went out on Valentine’s Day and there were cards and gifts exchanged. Then, when she woke up the next day, her parents were affectionate toward each other, throwing each other knowing glances she would notice. Can you see how these two people might have a challenge creating a satisfying shared experience for Valentine’s Day? So, why don’t they talk about their different vision you might ask? When someone has the same cultural experience year after year, it becomes very clear that that is just how it is. There is no questioning that perhaps things could be done differently. If doesn’t even occur to the person to discuss differences because they can’t even conceive there would be differences. It would be like a fish questioning water or people questioning oxygen. It’s just the way things are. To suggest otherwise is lunacy. There are two people with very different ideas of how things “should” be on the momentous occasion of Valentine’s Day. I suggest that the person who is most upset with the way things usually go is the one who should take the first step. Why? Because people need to take responsibility for their own happiness. So the most unhappy person should initiate the conversation about what will happen this year. Since you are the one reading this article, I’m going to guess that is you. It is important to not be critical. When you bring up the conversation, do not rehash other Valentine’s Days gone by. Talk about how important it is to you for both of you to enjoy the day. Ask your spouse how he or she would like to spend the day? Find out what’s important to him or her. Then share the specifics of what you really want for that day. It’s important to spell things out. Despite what you may wish, you spouse can’t read your mind. If you look at the problem of discrepant desires for the day together, seeking a solution that can work for both of you instead of blaming each other, then you will be able to find a solution. What’s important is to look at the problem together, rather than pointing fingers at each other. If your ideas are so different that it doesn’t seem possible to reconcile them, then you can decide to have two Valentine’s Days—perhaps one on 2/13 and one on 2/15 where each of you gets the day you’d like most. The idea is to find a way to please each other instead of blaming each other. Give your spouse what he or she wants instead of trying to please him or her with what you would want in the same situation. Create a solution that will give both of you what you need and your relationship will grow stronger. Win a Copy of Secrets of Happy Couples! Kim has a fabulous book called Secrets of Happy Couples, and she has generously agreed to give away a copy to one lucky Engaged Marriage reader. To enter this giveaway, all you have to do is leave a comment below sharing what you’d love to experience on Valentine’s Day. I will select one commenter at random to win the book at Noon CST on Thursday, February 16th. Good luck! Kim Olver is a Licensed Clinical Professional Counselor and life coach specializing in relationships. She is also the author of Secrets of Happy Couples: Loving Yourself, Your Partner, and Your Life. If you’d like to stay in touch with her, sign up for her free newsletter at http://www.therelationshipcenter.biz and get a free recording describing her revolutionary InsideOut Empowerment process.